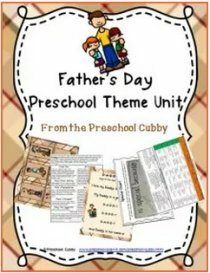 This Preschool Birthday Theme can be used any time or multiple times each year! Children LOVE talking about their birthdays all year, so why not have a theme about it? 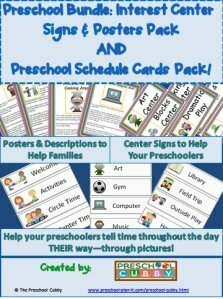 This birthday theme page includes preschool lesson plans, activities and Interest Learning Center ideas for your Preschool Classroom! Let the Preschool Birthday Theme planning begin! 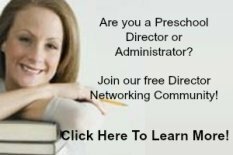 You could also click the link below to go to specific preschool activity types you are looking for. For information about celebrating children's birthdays in the classroom, you can read my article HERE! Materials needed: crown template, construction paper, miscellaneous arts and crafts materials, glue. Have the children trace a crown on 11 X 14 construction paper and cut out. They decorate with your arts and crafts materials. Tape (or staple) to fit their head! Materials needed: preschool birthday theme wrapping paper, ribbons, bows, scissors, glue, large paper or poster board. The children cut the paper and glue onto the large paper or poster board, decorating with bows and pieces of cut ribbon. This could be done as a group project as well. In advance, draw a large cake on poster board and cut it out. Use the leftover poster board to cut out candle shapes. Next, cut the birthday cake into large pieces (enough for each child to have one piece). The children can use watercolor paint. I am a HUGE fan of Colorations Liquid Watercolors! You can get great prices and possibly free shipping through Discount School Supply! Have each child decorate a candle using paint or miscellaneous arts and crafts materials. When the pieces are dry, the children put the cake pieces together. Tape the pieces together and hang up on your wall! Attach the candles to the top. Materials needed: birthday cups, paint in shallow trays, paper. The children dip the cup in the paint and then press it on paper to make circle shapes. Continue to cover the paper with "balloon" shaped circles! Spray large cake shaped mountains of shaving cream in front of each child. Let them add drops of paint! Provide unit blocks and colored blocks. Encourage the children to build the tallest cake they can....and then knock it down (using their hands or cars!). Create a graph that has the months across the top and the children's names down the left side. Create small candles or cake shapes with the children's names on them. Talk about birthdays and when their birthdays are (you will obviously need a list of their birthdays). Have the children place their piece under the correct month next to their name. This can be used for many math skills: How many birthdays in the same month? How many in each month? Which month has more? Less? None? Make a flannel board or paper pieces for the children to use while you teach them this fingerplay! I unwrapped the red one, and now there are three. I unwrapped the blue one, and now there are two. I unwrapped the yellow one and now there is one. Create felt pieces in the shapes of different toys the children might receive as a birthday present: a doll, toy car, puppy, pony, etc. as well as a cake a candle, a wrapped present. (You could make these by cutting out magazine pictures or printing clip art of each and placing felt on the back of the pictures). Place the items on the flannel board and discuss. Remove one or two pieces as the children cover their eyes and then have them guess what is missing. Place this in the libary throughout the day for independent use. Use flannel pieces on a board OR place actual birthday candles in the middle of circle OR place candles in a cake you will have for snack! Ten little candles. On a chocolate cake. Now there are........ (take time to count them) eight. Eight little candles. On candlesticks. Six little candles. And not one more. Four little candles. Red, white, and blue. Two littles candles. Standing in the sun. The counting now is done. Let's blow out the candles. Out each flame will go. Here is Frank Asch's original Moon Cake recipe to go along with his book Mooncake ! Ingredients: 3 eggs; dash of salt; 1/4 cup of Grape Nuts cereal; dash of cinnamon; butter; maple syrup and/or honey. Melt butter in an omlette pan. Cook on medium to low for about 30 seconds. Sprinkle Grape Nuts and cinnamon on top of eggs. Coninue to cook until bottom is light brown. Cook other side until done. Serve with butter and maple syrup or honey. Remember, Bear likes his with honey! One large mooncake can feed 1-4 children as a snack! Provide all the items you will need to set up a birthday party. I recommend purchasing items that can be used over and over, year after year. For example, purchase a small vinyl table cloth and hard plastic cups (rather than paper tablecloth and plastic solo type cups). 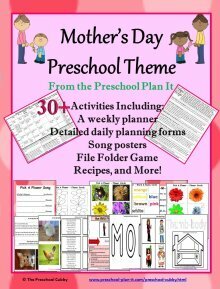 Provide: tablecloth, cups, plates, streamers, birthday hats (purchased or made by the children), items to make pretend cake, perhaps add playdough for cake making to your dramatic play area!, dress up party clothes, boxes and wrapping paper for the children to wrap presents, a pin the tail on the donkey game, etc. Here are some reasonably priced Birthday supplies to consider. The children dip the blowers quickly into the paint and blow! Wrap a new toy for the classroom in a box. Wrap it with many layers (one layer for each child!). Pass the present around as you play music. When the music stops, the person holding the present takes off one layer. Let the children know that if they already unwrapped it one time, they need to hand it to someone who has not if they are holding the present when the music stops a second time! Make a big donkey for the felt board. Make felt tails, one for each child, with their names written on. Blindfold children one at a time and let them take turns "pinning" the tail on the donkey. You can find Pin the Tail on the Donkey Games inexpensively online as well. Choose a child to be the birthday person (if you are doing this as a theme rather than for a specific child's birthday). The rest of the children stand in a circle around the birthday child. The birthday child tells how old they are and choose that many friends to be the candles who will stand in the middle with him or her. 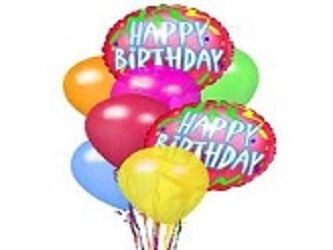 Sing happy birthday and then the birthday child "blows" out his/her "candles:"by tapping a candle on the head with a pointer and they fall to the ground. One teacher noted online that her students did a variation--the "candles" fluttered their hands above their heads to show that the candles are lit! The children make a circle holding hands. One child is the birthday child in the middle. The children making the circle are the candles. Have them walk around in a circle as they sing the song below. When they shout the last line, the birthday child makes his wish and pretends to blow out the candles as they all fall down. The birthday cake, the birthday cake. Today is [child’s name]’s birthday! Tape a line across the middle of your play area. Give the children balloons. Their goal is to kick or hit the balloons to the other side of the line! If you can not use balloons due to ages of the children or state regulations, use balls like these ! Preschool Birthday Theme Activities to Help Your Preschoolers Develop Their Math Skills and the Small (Fine) Muscles In Their Hands! Make 1" X 3" strips of paper of different colors. The children arrange the strips to make a birthday cake. Make different lengths (1" X 2", 1" X 4") for the children to make a thinner to wider cake! A birthday version of my favorite game called What's Missing! One child removes one item and the other child guesses what is missing. This activity is in my file and says "submitted by Peggy". Thank you Peggy! used birthday cards with numbers on them ....ya know the ones that have "Today you are 4 Years Old" or make cards with numbers 1 - 10 on each. Child chooses a card and then matches the corresponding number of candles or golf tees by placing them in the holes in tub lid. Whne candles are in lid it looks like b-day cake! Materials Needed: playdough (purchased or homemade), muffing tins, birthday candles. Provide the materials on the table and let the children create cakes and add candles. They can count the candles, count the cakes they make. You can program the muffin tins to just have the children count out the appropriate number of candles into each section of the muffin tins. Preschool Birthday Theme Music and Movement Activities and Ideas to get your Preschoolers Movin' and Groovin'! Her (his) name is __________. How old she is, how old she is? She is ___________ years old. Zippity - sung to "Zippity Doo dah"
zippity dooh dah, HAPPY BIRTHDAY!! Play this traditional game without the competetive edge. Place a party hat on each chair (each with a different design or print). Give each child a matching hat. They walk around the chairs while the music plays. When the music stops, they run and find the hat that matches theirs and sits down on the chair. You collect the hats and pass them out again and play again (NOT removing any chairs). Variations of this can be played by using letters, numbers, or shapes! Preschool Birthday Theme Activities for Your Sand and Water Table! Fill your sensory table with lengths of ribbon of different colors as well as bows. The children can cut the ribbons. Or they can sort the ribbons and bows by color. EXTENSION: Hide party favors under the bows and ribbons for the children to find and use! Make batches of thin spaghetti. Drain and place in bowls. Add food coloring to each bowl and mix. When cooled, add to your sensory table. Add plastic letters for the children to find. They can try and find the letters in their name! Place colored rice in your sensory bin with muffin tins, spoons, ice cream scoopers and cups! 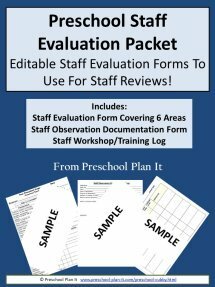 Preschool Birthday Theme Science Activities--for your Preschool Scientists in Training! Make (or have the children help you make) these bottles! Add water, a few drops of food coloring and vegetable oil to a plastic water bottle. Add birthday confetti and mini party favors that fit in the bottle top (small bouncy balls, etc. ), small plastic letters and other birthday type items you can think of to the bottle. Hot glue the cover on. This is an amazing activity to do anytime! Have the children pour some milk in a small dessert sized bowl. They drop food coloring in the milk all over the place...all different places. Have them drop a few drops of dish detergent in and watch! It is amazing! NOTE: provide dish detergent in a small cup and provide pipettes so the children do not add too much detergent. Also, once the colors stop swirling, add a few more drops of detergent and it will start all over! Provide the peanuts and shallow trays of water. The children dip the peanuts in the water and they will then stick to each other! They can create their own birthday cakes, or what ever they can imagine! They can be colored by coloring them with markers. Another activity to do with them! Provide party blowers and have the children use the blowers to move the peanuts across a table or across the room! Contact me if you do! Let me know in your email that your information is for the Preschool Birthday Theme Page! 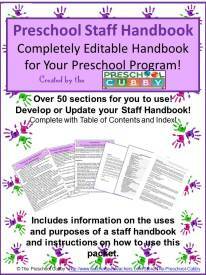 Writing Activity Ideas for Your Preschool Birthday Theme! In advance, take pictures (head shots) of each child wearing a party hat. Print out the pictures and laminate. Create a name card for each student and laminate. The children can match the pictures to the name. The children can use dry erase markers to trace the letters of their name and their friends' names.